Two-Hour Meter Parking is available.Georgetown Parking Lot is located on the corner of Wisconsin and M Street. 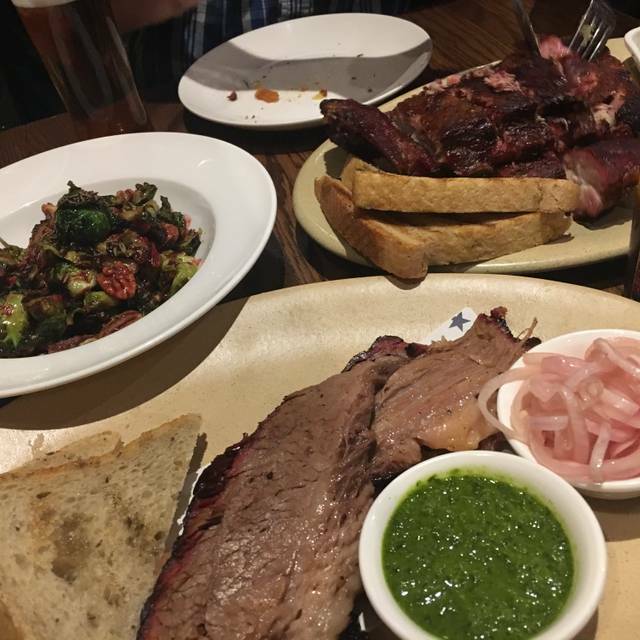 Renowned chef José Andrés offers a new take on American classics, celebrating iconic American dishes and incorporating a delectable array of barbecue dishes. The restaurant offers a vibrant setting for any dining experience, including Georgetown's best outdoor patio. Very average food, I had higher expectations considering the owner. Won’t be going back again, it’s more of a tourist trap. A fun lively place. Dishes are outstanding, with recipes from America EATS COOKBOOK. We will be back. You have to get the cornbread! Our table was a little cramped by the front window, but we had a nice view of Georgetown. The drinks were amazing and they had an incredible selection to choose from. We went for brunch & had reservations, but the wait was a little long - about 40 minutes from the time we ordered our food. 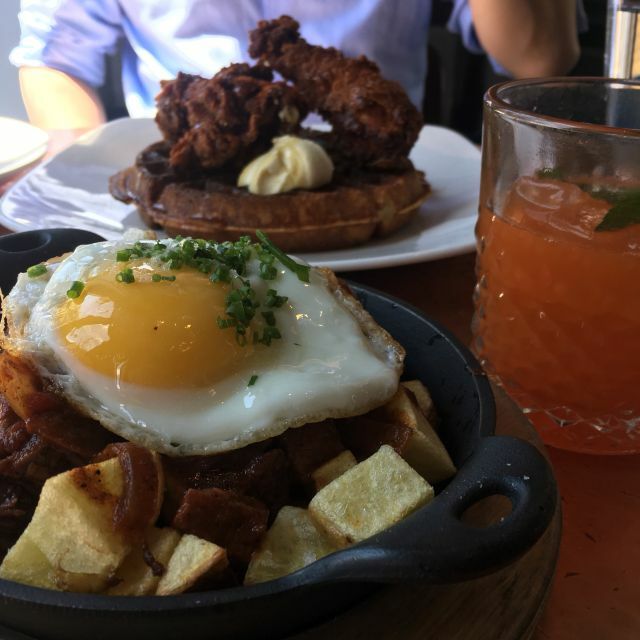 The brisket chili hash & chicken and waffles were both really well done and delicious. The portion size was great and there were a lot of good flavors happening. Overall, it was a good experience! Creative food, reasonable portion sizes, save room for desserts. We love ribs but this experience was disappointing. 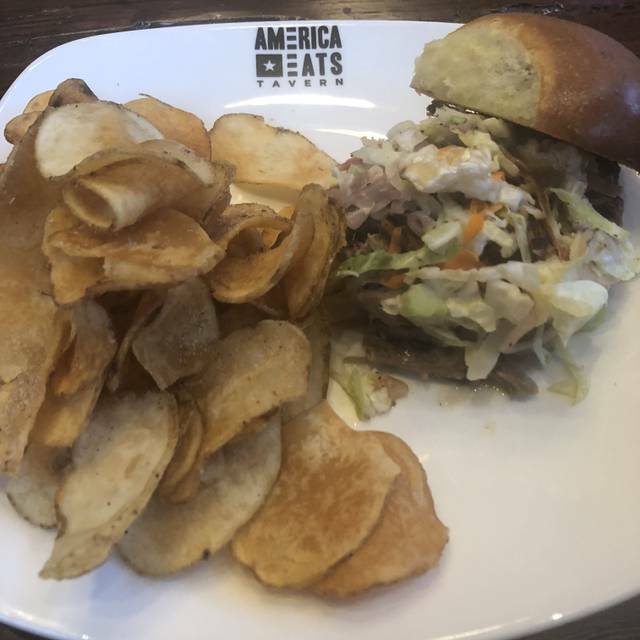 Baby back ribs were mediocre, hush puppies were undercooked, fries were disappointing, and lobster roll was skimpy but tasty (bun was overwhelming because not enough meat - recommend that AET uses a smaller bun or include more meat.) Server did not know the food well and incorrectly advised that cole slaw did not have mayo. Staff were friendly and accommodating. Went for a holiday celebration with a friend and had a pretty bad experience. Though the drinks and the mac & cheese were fantastic, my hamburger was plain and overcooked and my friend's food had hair in it! 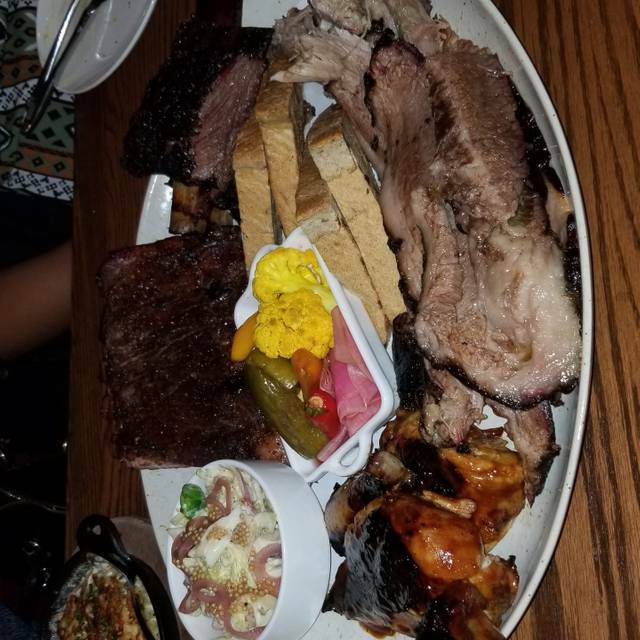 When we brought this up to our server he apologized and had a new plate made for her, but the whole experience was ruined, and they just did not seem concerned with making up for it in any way. The price was just not worth the low value of the meal we had. I don't make recommendations to friends...we all have different tastes and priorities. At a quiet weekday lunch, things weren't up to par for a Jose Andres restaurant. Our burger and barbeque sandwiches arrived 45 minutes after we were seated. The manager justified the delay by saying that 5 tables had arrived within a short time. Hard to believe an experienced kitchen staff cannot handle 5 orders competently. Service was also in need of polishing. We were still finishing up eating when our server dropped the check on the table, not asking whether we'd finished, and not bothering to ask if she could first clear our plates. The whole experience implied that this restaurant is relegated to tourists - they don't really expect any returning customers when residents know there are so many other options at this price range which offer top-notch service and great food. we liked the wait staff and management. our table was right across from the single restroom and had a barn door and was used constantly and kinda gross having to stare at toilet all the time and imagine the odor issue could have been much worse. Food was good but not outstanding. Happy to support an owner who has given so much back. Fried chicken was disappointing. Skillet cornbread good. food was very bland and lacked flavor. was excited to try but got disappointed. Missed the mark on service and food quality. Cheapening the Jose Andres brand for sure. The servers here are fantastic. The food is often staple dish, but innovative, well-executed, and flavor-balanced. I love the menus connection to food culture and history. Came here on a date and it's a great place to come for some great food and a casual vibe! Service is fantastic and ambiance is equally as great. The food has been good/fine, but I have had trouble with decent service both times I have visited. Food was just not good. 5 people and no one liked what they ordered. Had little to no flavor. Hard to even discribe bc so unimpressive. We had a fantastic time celebrating our daughters engagement. Service was excellent and the food was simply delicious! We will come back! I chose this place because Jaleo can do no wrong. The food quality isn’t there yet. Great service. All the staff made sure we were happy with our meal!! America Eats has yet to disappoint. After three visits in the last few months, the food and service continue to wow us. The servers are attentive and offer great insights into the menu. Don’t miss the Hoppin’ John or fried okra. The shrimp and grapefruit dish is also wonderful if you’re on the fence about ordering. 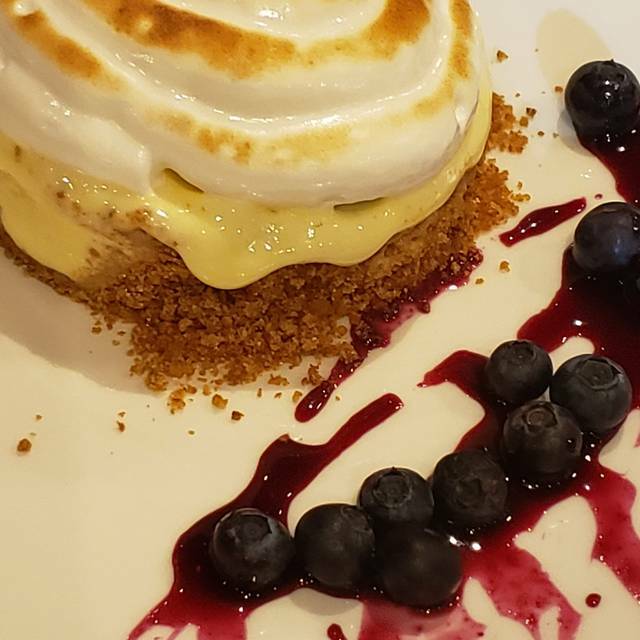 We usually don’t have room for dessert, but we were advised to try the lemon meringue pie— let me tell you, we won’t be skipping the lemon meringue pie ever again- it was divine. Already looking forward to our next visit! Food was disappointing- very heavy. I had great expectations - I love Jose Andres and I wanted so much to love this restaurant. The staff were fantastic - they were great about making accommodations with the menu to adjust to our tastes, and I can't say enough good things about them. But the food was just not that great. The opening act for us was the cornbread - that was delicious. I'd get it again in a heartbeat. Next was the entrees. I had the ribs. They were, again.... fine. They were not melt-in-your-mouth tender, which is what one comes to expect for ribs. They definitely took a little work to eat. The taste was fine. The root veg side was just meh. Overcooked and bland. My husband had the shrimp and grits. He really liked it. Were they the best S&G I've ever had? Not really. They were about average. Not bad, but nothing to stand out. Both kids had fried chicken. It was good! It was two legs and two thighs, and that's fine for me, but I have a kid who only eats white meat. Not their fault and I should have asked. Desserts - mixed. Ice cream - fantastic. "Hot Chocolate" - Unbearably sweet. Will we go back? Alas, no. A great atmosphere with a southern vibe. 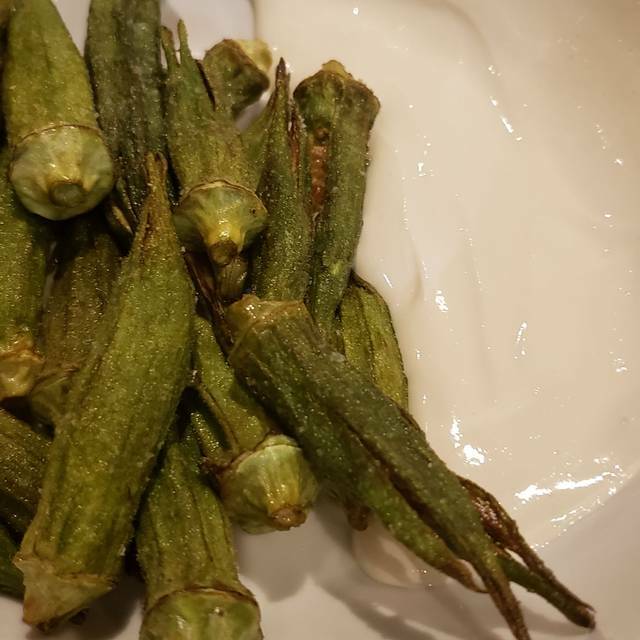 The fried okra was amazing and the lemon meringue dessert is a must have. I’ve decided this will be the new drinks and dessert location when I travel to DC. Service was slow, we waited a long time for apps and then had entrees show up pretty shortly after appetizers. I waited so long for my drink I canceled the order. Our server was nice and was working hard, I think they were just overwhelmed and had too many tables in the same stage at the same time. Quite possibly the best bbq in DC. Come hungry! Was nervous because it's a jose Andres place but loved it. It's great for a friend group. Great menu and the food met our expectations. 'Amelia' cocktail, brisket dinner and chocolate cookie dessert all excellent. Kudos to chefs. It was REALLY LOUD and the booths are not very comfortable. Amazing experience from start to finish. Food was superb and tasty. our server was professional and very knowledgeable. The restaurant is very charming and clean. Can't wait to go back. Highly recommend. Hostess was friendly and seated us quickly. Was nice to sit in the window and people watch. Server took awhile to come to the table and drinks and food arrived slowly. Noisy overall, but tolerable in the window seat. Food was disappointing for the price. The food was excellent. They had too few waitstaff for a Saturday night and the kitchen got backed up. It took forever to place a drink order and even longer to get our main course, one of which was missing (although they comped it when it finally came 15 minutes later). The restaurant needs to do a better job staffing weekends so that dinner doesn't take almost 3 hours. The food was good enough that I would be willing to give the restaurant another try but certainly not when I have anywhere that I needed to be. The restaurant is very noisy. Amazing food! The BBQ , the corn bread, Hotdog and Hamburger, all amazing! Pulled pork was exceptional. Drink service was bad—this is an issue that needs to be fixed. It takes way too long for drink orders to be delivered and it has been this way for months. Great menu and low key ambiance, we enjoyed the meal. Unfortunately our server was in need of much, much more training. Could not explain the menu. Our entrees were brought out before appetizers were finished so the table was crowded and we felt very rushed (not the intent for sure because we had an early reservation). She seemed to be very introverted so maybe this is not her thing. Another server working this section did a great job with the other tables so this seems to be a one-off issue. The service was incredible. It’s clear that everyone shares a passion for their food and it is evident in how they conduct business. The food was also top notch. While a bit on the pricey side (which is average in Georgetown), it was definitely high quality. It’s also nice to see intent with a menu; many restaurants in Georgetown are just a copy/paste menu with little character. It was neat to see how they drew on old recipes for inspiration, yet adapted them for a more modern feel.